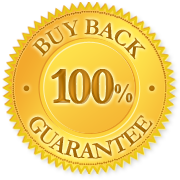 We are an experience trading company that buy & sell 999.9 Pure Golds. Alliance Fine Gold Sdn. Bhd. was established in 2011. The company is selling pure fine gold 999.9, ranging from 10gm, 20gm, 50gm, 100gm, 500gm to 1,000gm, in Ringgit Malaysia. Currently, the company has more than 100 outlets selling gold bars throughout Malaysia and guarantee investors in buying back the gold bars in all outlets at any time in the future even when the gold price goes higher. Worldwide gold demand has become stronger than ever since the US subprime financial crisis. With many more investors rushing to hedge their US Dollar position and to hedge against the inflation, gold is thought as a safe haven for investment purposes. Therefore, gold is likely to continue its uptrend move, until the world market is return back to normality. Once you subscribe, you agree to receive our services, including marketing promotion SMS. THIS IS A INFO ON DEMAND SERVICE. This service is available on Maxis, Digi, Celcom and it allows user to download content. Please activate your phone GPRS/3G/Wifi setting to download content. You will be charged RM3.00 for each SMS content you request. Standard telco charges apply upon sending MO message or downloading mobile contents. Prices displayed above do not include GST. For prepaid customers, 6% GST has been included upon purchase of reload. For postpaid customers, 6% GST will be charged in monthly bill. For direct payment 6% GST will be displayed upon payment. Start investing in gold today. Sign up now! Gold is an asset class of its own, it is one of the few metal components that has long been thought of an investment vehicle to hedge against inflation since the establishment of the financial markets. Worldwide gold demand has become stronger than ever since the US subprime financial crisis. Start your gold investment with Alliance Gold now!